Top tips on bringing the story of your ancestors to life by tutor and author of the popular Writing Your Family History: A Guide for Family Historians. How to stop researching and start writing, choose a format and what to include. What to do with family stories, missing pieces and anomalies. Crafting your writing skills and adding social and local history context. What to use and where to source it. Gill Blanchard is a professional genealogist, house historian, writer and tutor. With an academic background in history, sociology and politics to post-graduate level, Gill has been a full-time researcher since 1992, including six years at Norfolk Record Office. She set up her own historical research business called Past Search in 1997 www.pastsearch.co.uk and qualified as an adult education tutor the following year. Gill has conducted much background research for authors, journalists and academic researchers, including the BBC Who Do You Think You Are? television series and appeared on two episodes. Gill is the author of several books including: Tracing Your House History, Tracing Your Ancestors: Cambridgeshire, Essex, Norfolk and Suffolk, and Writing Your Family History (Pen and Sword Books); I Therefore Post Him as a Coward: An anatomy of a Norfolk scandal, 1836 (Poppyland Publishing) and Lawson Lies Still in the Thames: The Extraordinary Life of Vice-Admiral Sir John Lawson (Amberley). 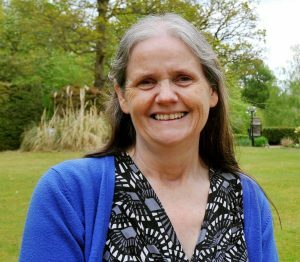 A book on the history of women in Norwich is due out in 2019. Other projects including the joint biography of two 18th century sisters and a guide to Tudor and Stuart research are in progress. Gill has designed and run numerous courses on related topics from beginners to post-graduate level. Her online writing courses can be found at www.writingyourfamilyhistory.co.uk She regularly contributes articles to national family history magazines and presents talks and workshops across the country.